Sponsor a family who lives in Ankeny and provide gifts to make their Christmas special. Stop by the church office to request a family. The list will not be available until later in November. Please return all wrapped gifts to the church office by December 9. This project is through the Ankeny Service Center. Bake pie (or two) for residents of MOSAIC to enjoy. Pies will also be served following our Thanksgiving Eve service. 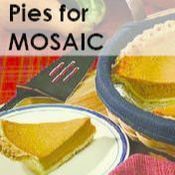 Please sign up for how many pies you will provide, and deliver them to the church by November 20. MOSAIC advocates for people with intellectual disabilities and provides opportunities for them to live a full life. 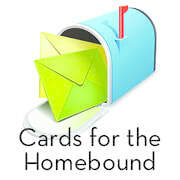 As you're writing Christmas cards this year, order a few extra to bring smiles to our homebound members' faces. Cards are being collected at the big mailbox by the Red Wall. Please bring them to church by December 16. Share God's love with children who need safe homes and adults learning to cope with trauma. Pick a tag off the wooden Christmas tree by the Red Wall and return unwrapped gifts by December 16. Children & Families of Iowa doesn't just offer solutions for families and children in crisis. It offers hope when it feels like there is none left. It offers a chance to build better futures. Provide gifts for our Family Promise families. Stop by the church office to request a gift list. Information on this project will not be available until the week of December 17. 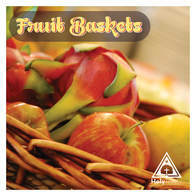 Assemble and deliver bags of fresh fruit to our homebound members, food pantry guests and WIC families. Bags will be assembled on Nov. 26 and distributed on Nov. 27. Donate $10 grocery store gift cards to be given to our Holy Trinity Food Pantry guests. Stores include HyVee, Fareway, Walmart, Fleet Farm, and others. Please place the gift cards in the offering plate or bring them to the church office by December 16. Spread joy to people who are served by Hope Ministries by shopping for men's socks, underwear and undershirts. Please bring items to the receptacles at the Red Wall by December 16. 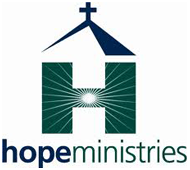 Hope Ministries' mission is to rescue those who are homeless, hungry, abused or addicted, providing opportunities for hope, recovery and restoration through the love of Jesus Christ. Sponsor a young mom and her children as they start a new life at the Iowa Homeless Youth Shelter. Shop for gifts to make their Christmas special. Stop by the church office to request a family. Please return all wrapped gifts to the church office by December 9. Shop for gifts to fulfill the wish lists of residents of Mosaic. Select a gift tag off the kiosk by the Red Wall at church. Please return unwrapped gifts by December 16. MOSAIC advocates for people with intellectual disabilities and provides opportunities for them to live a full life. Share the radical love of Jesus by packing and delivering turkey sandwich sack lunches to those working on Thanksgiving Day. Lunches will also be shared with food pantry guests and people who have special needs. Share God's love by shopping for gifts for people with Alzheimers or dementia who live at Trinity Center at Luther Park. Gift tags can be selected off the wreath by the Red Wall at church. Please return all unwrapped gifts by December 2.